Steve Smith is owner of Sunnyside Nursery in Marysville. Photo credit: Pexels dot com. The problem with this strategy is that all of this over-sanitizing is actually making us more sensitive to pathogens and one of the simplest solutions is to get some dirt on our hands or even in our mouths. Dirt is actually good for us. One Tablespoon of soil contains more organisms than there are people on earth (think about that the next time you stick your hands in the soil). It takes 500 years to form one inch of topsoil (a good gardener can do it much faster). 5000 different types of bacteria live in one gram of soil (and most are beneficial). One earthworm can process 15 tons of soil/acre in one year and there are about 1.4 million of them in an acre of soil. The take home message here is that there is a lot of stuff in dirt that we don’t see and chances are that a good portion of it is beneficial. 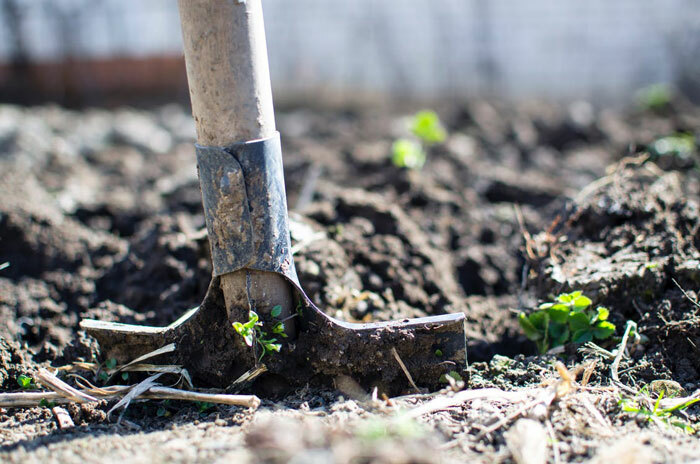 Unfortunately, as society has advanced, our connection with the dirt has shrunk to a point that humans now have minimal interaction with dirt and consequently it is creating problems for us. Incidents of asthma, digestive disorders, allergies, and autoimmune issues (especially in children) are all on the rise. Solutions may be as simple as letting our kids get dirty again. Exposure to a wide variety of organisms is what causes us to build up our resistance and immunities. By getting dirty we are actually training our immune system. Dr. Ruebush, author of “Why Dirt Is Good” correctly points out that bacteria are everywhere: on us, in us, and all around us. Most of these microorganisms cause no problem, and many, like the ones that normally live in the digestive tract and produce life-sustaining nutrients, are essential to good health. What I find to be the most amazing discovery is that dirt can actually make us happier and not just because we are playing outside in the sunshine and away from our electronic devices. Dirt contains a bacterium called Mycobacterium vaccae that is being heralded as the new Prozac. It is thought that Mycobacterium vaccae works by stimulating serotonin production, which makes you feel relaxed and happy. Other studies have also shown that this bacterium improves cognitive functions and might be helpful in treating cancer and other diseases. While it should be no surprise that getting outdoors and playing in the garden will make us happier and healthier, now we also know that part of the reason for this is the dirt that we breathe, touch and sometimes even ingest. This is just one more reason to be utterly amazed at how this world is put together.